What kind of biomass can be used and is it available? “BETEL” manufactures biomass gasifiers in various ranges catering to a wide range of agro wastes and residues. The technology developed by Indian Institute Of Science gives the flexibility of using the same equipment with different feed stocks. The acceptance of different feed stocks gives the equipment the necessary flexibility and makes it suitable for usage anywhere in the World. Wood & wood chips of various kinds viz. Briquetted fine biomass / waste viz. 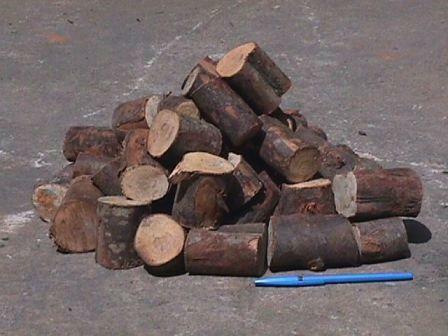 Is it not banned to use wood in industries as fuel? as an energy plantation in barren lands meant for industrial usage. This does not come under deforestation and the resultant energy impact. On the other hand by releasing the CO2 absorbed by the plants back to atmosphere we are maintaining neutral CO2 as against combusting fossil fuels. Govt. Of India promotes usage of biomass gasifier with various incentives. Other agro residues, coconut shell etc. are any way waste generated and can be effectively converted into energy. What are the effluents and discharges from the gasifier and how to dispose the same? 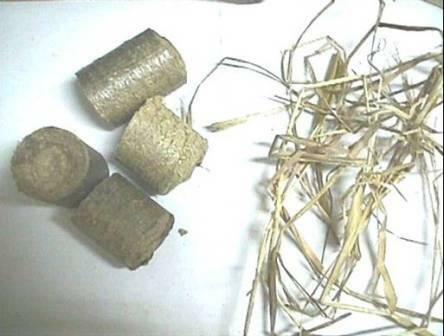 Ash generated by using coconut shell has a commercial value for activated carbon manufacture and the char generated with wood is a source for heating applications. The ash is inert and does not pose any environmental problems. A reasonable amount of water will be required, used towards cooling of the gas generated. This is cooled in a close loop circuit with a cooling tower and requires only top up towards losses. Occasional complete removal of water is recommended and if the same is not possible water treatment plants can be supplied to take care of the same. Is the gasifier automated and can it be used like other machines in the factory? Gasifier is available in two models. The fully automated version takes care of loading the feed stock, automatic discharge through a conveyor of wet ash, start up of the gasifier and closing down of the same. Based on your requirements one can decide the level of automation. 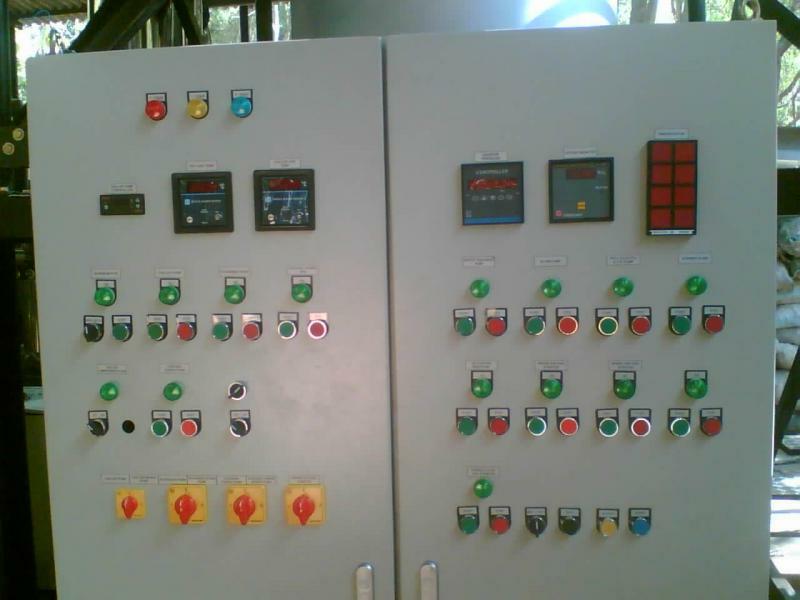 The partially automated system offers only automatic discharge of ash in to water pond and all other start up, loading and ash discharge procedures will have to be carried out manually. Can we store the gas? Is the gas available on demand? The start up time for a gasifier is hardly 10 minutes and shut down will take only 5 minutes. Hence the gas is available on demand. Storing of gas is not economical keeping in mind its low calorific value and also for safety reasons. Hence it is not advisable to store the gas. Is the equipment explosive and does it have adequate safety devices? The gasifier operates under suction mode till the blower. This eliminates any chance of gas leakage. The suction as well as the delivery pressure is never in excess of 150 mbar. At these low pressures the chances of explosion are limited. Additional safety features such as gas leakage detectors, oxygen sensors can be incorporated in the system based on the levels of safety desired. Is the equipment maintenance friendly and what kind of attention does it need? Use of right form of feedstock (Less than 20% moisture and free from sand / grit) ensures that the gasifier works without a shut down for months together. The operation of the gasifier is very similar to that of a D.G. Set and requires least maintenance. Excluding the wood preparation a fully automatic system calls for just one operator and partially automatic system calls for 2~3 unskilled labour for biomass loading and ash removal. Does the gas affect the performance of the gas engine or will it result in premature damage to the same. Engines operating exclusively on producer gas have been successfully used along with specially designed carburetor for air – gas mixing and take care of varying load conditions. M/s Cummins supply these engines meant for producer gas application and carry relevant warranty from the manufacturer. What is the maximum temperature achievable and is it possible to control the same? A furnace temperature of 950 ~ 1000 Deg.C can be achieved and it is possible to control the gas flow and thus the temperature can be maintained.